In his seminal book Plagues and Peoples, McNeil (1976) described how the development of major urban centers, and the successive stages of regional, and eventually global, trade linkages via new trade routes such as the Silk Road connecting the Middle East with Asia, explain historical patterns of the emergence of plagues and, indeed, the outcome of a number of pivotal events in history. Thus the relationship between urbanization and infectious diseases is an ancient one, of which the current phase is in some ways (but not all) a continuation of this story. The story is largely one of a dynamic in which the human populations of cities grow large and dense enough to insure a constant "crop" of susceptible individuals not exposed in previous outbreaks, fueling an epidemic cycle as well as providing the social-ecologic conditions for endemic persistence of a succession of infectious diseases. A significant fraction of the "susceptibles" is contributed by the flow of rural migrants, as well as urban natives born subsequent to previous outbreaks - a demographic pattern that today involves much higher numbers of migrants. 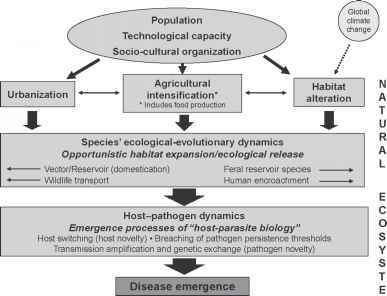 This dynamic is elaborated upon by the expansion of networks of cities linked by land and sea through the movement of people, their associated animals, and commodities, providing new opportunities for pathogen dispersal. Cities, at least where adequate resources and political stability exist, have responded with the development of social institutions (hygienic laws, customs, and behaviors) and physical infrastructure (health-care, sanitation and waste management systems, etc.). Thus, the historic as well as the present-day dynamics of human infectious diseases largely reflect the ecological and evolutionary interplay of microparasites, the proportion of susceptible individuals in a population, and cultural adaptation. 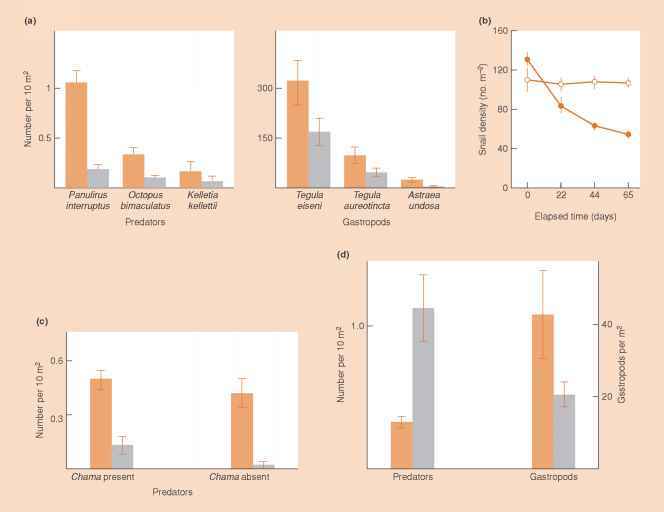 An underlying complication is the continuous evolution (and co-evolution) of humans, along with their domestic animals, and pathogens - with the occasional addition of new pathogens that have jumped the species' barrier (e.g. between apes and humans as in the case of HIV) and become successfully established in the human population. Figure 4.1 Causal relationship of regional scale environmental drivers on disease emergence represented as a "coupled human-natural system." Modified from Wilcox and Gubler (2005). infectious diseases. This coupled system thus "sends" the diseases in the opposite direction, up through the system to potentially impact public health on a regional or even global scale.